Master bedroom with a very comfortable king bed and own bathroom (en suite). The room contains a fan and the bed contains mosquito nets. This room is spacious and bright overlooking the lush garden of the villa. Two very friendly dogs onsite, so guests will need to be dog friendly! Experience proper African culture and taste the fresh & delicious food. We also provide clothes washing facilities for 250 Ksh per wash (about 2 USD). 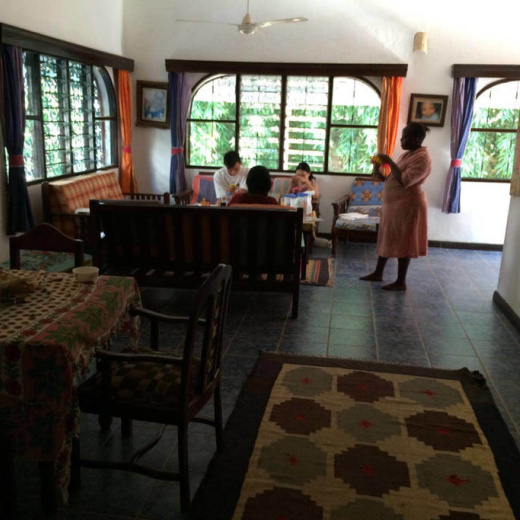 Our home is a welcoming artist beach villa in the heart of the amazing Diani Beach! The villa is located in a guarded compound across the road from the beach - 5 min walk to the white sandy beach. There is a paid pool and GYM at the compound also for your convenience. Your room and all other shared spaces like kitchen, bathrooms, living room, eating room and garden. 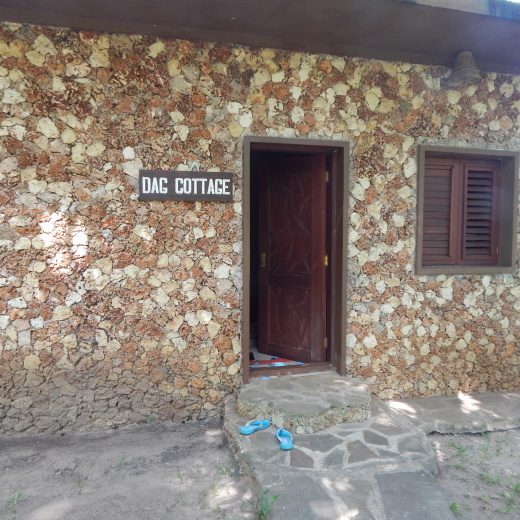 Best restaurants and places to go out in Diani Beach are within a walking distance or a short tuk tuk ride away. You can walk on the road side or on the beach to get around and tuk tuks are available, they are very reasonably priced and can get you any where you like. We can order a taxi for you if you need a ride from the airport at Mombasa or Diani. We will be happy to help you, answer any questions or book a taxi for you.